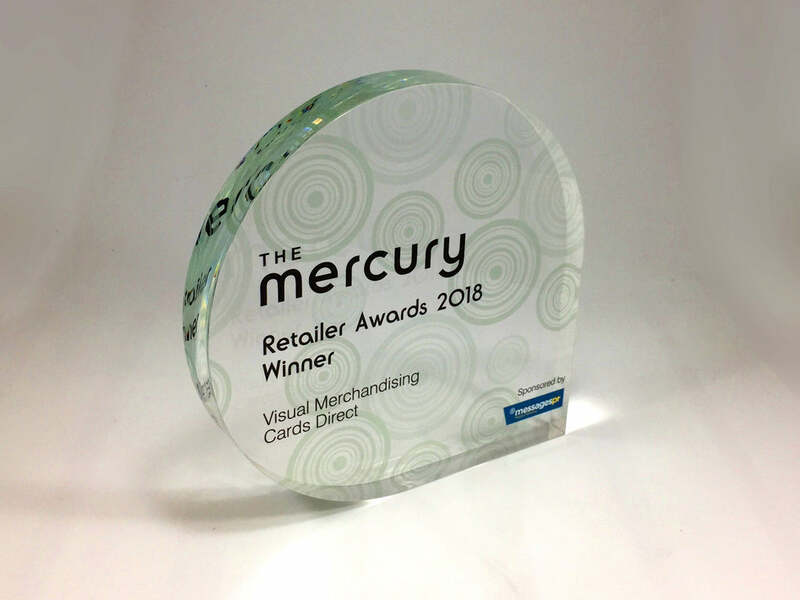 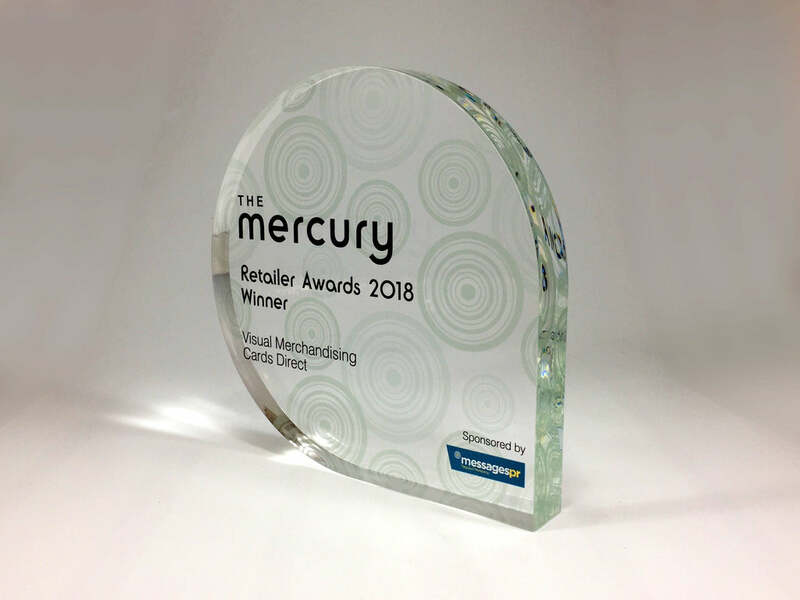 We believe that sometimes the most simple of designs are the most elegant, as shown by the Mercury Acrylic Teardrop Award. Commissioned by a famous shopping association, the award celebrates the achievements and recognises the winning retailers. The bespoke, teardrop shape is made from thick, optically clear acrylic. 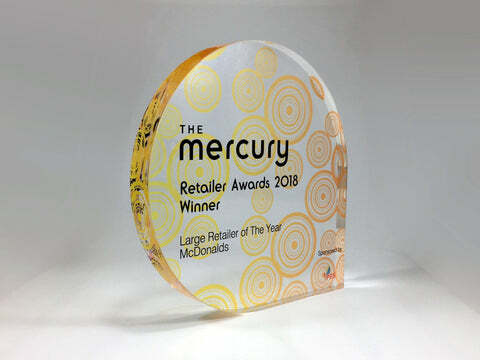 Both the face and back of the award feature printed graphics that overlap, creating an eye-catching and on-brand design.